There’s always time for tea, right? 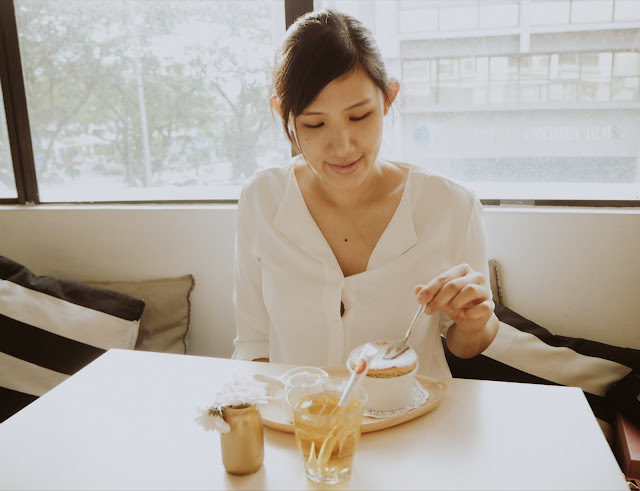 I've always preferred tea over coffee because I live with anxiety and it is important for me to limit coffee intake as it stimulates us while tea does not increase or aggravate anxiety or stress. Anyway, my addiction for tea started not too long ago but having a cup has a soothing effect on me especially before bed, it really makes me feel better. Anyway, I have good news for tea drinkers! A new, innovative and convenient tea sticks are now available in Malaysia, it a product from London and directly imported from UK. 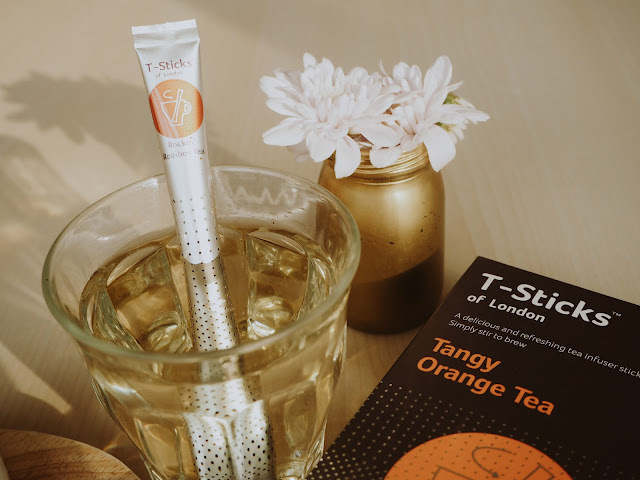 T-Sticks allows you to drink your cup of tea comfortably at anywhere any time of the day with “NO Mess, NO Drips, NO Spoon” they are really easy to use, simply stick them in your cup of hot water, and wait for your tea to brew. It also conveniently double up as stirrers so you won’t have to use a spoon. The tea leaves are said to be gathered from tea plantations around the world, T-Sticks has 10 flavors to choose from - Breakfast Brew, The Earl’s Favourite, Zen Green & Lemon, Moroccan Minty Green, Zesty Lemon, Fruity Forest, Striking Strawberry, Perfectly Peach, Tangy Orange, and Rockin' Rooibos. It’s hard to choose what is the best but my favorite will be Zesty Lemon & Tangy Orange because it's so refreshing especially in the morning and Rocking Rooibos is the perfect flavor to chose from before bed because it helps to calm me down and have a restful sleep at night. The flavor of the tea was full-bodied and delicious, you could taste the lingering depth and fragrance the moment you take that first sip. Each box of T-Sticks includes 15 sachets at RM35 and now they are having a launching promotion at RM29 only. 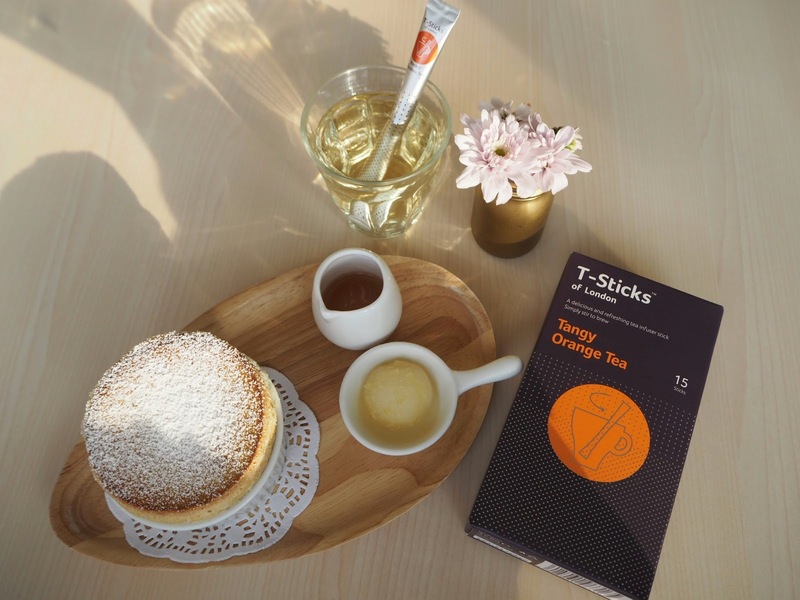 T-Sticks is super convenient to carry with you, it's literally weighs nothing at all and it won't take up any space plus it'll bring a touch of elegance and poshness to even the laziest afternoon tea sessions at home, just curl on a sofa with a cup of tea to commence relaxation time.